Airways Aviation today announced two recipients of its new female ab initio pilot scholarship, Hanna Gillam and Jessica Waite, to coincide with International Women’s Day. The £35,000 scholarship programme, created in collaboration with the BWPA, was announced last October to help encourage more female pilots. Some 100 candidates attended a careers day held at Airways’ base at London Oxford Airport in the UK to register interest. Hanna and Jessica’s scholarships will go towards an Airways Aviation EASA pilot training course. After completing the theory component at Airways’ Oxford base, they will move on to Huesca–Pirineos Airport to undertake practical flight training. Jessica Waite, born in Basildon, Essex, attends Anglo European School, where she is currently undertaking A-Levels in Chemistry, Sociology, Politics and Mathematics. Now in her fifth year as an Air Cadet at 2393 Billericay Squadron, she holds the rank of Sergeant and is involved with teaching other cadets. Jessica also enjoys a part-time administrative role at North Weald airfield. “After completing this course, which is such an amazing opportunity, I hope to work for a major airline,” she says. Hanna Gillam, from Woolton Hill, near Newbury, attended St. Gabriel’s School and moved on to sit her A levels at St Batholomew’s School sixth form before working abroad. Hanna has been passionate about aviation from a young age. Her late grandfather founded and ran a flying school at Headcorn, Kent, while her late step-grandmother was a former chair of the BWPA. Both her parents held private pilot’s licences. At 16, Hanna signed up to be an RAF Air Cadet, where she achieved a gliding and flying scholarship. In 2017, her membership with the Air League led her to an inspirational talk on ‘Women with Wings,’ where she heard about the Airways Aviation scholarship. 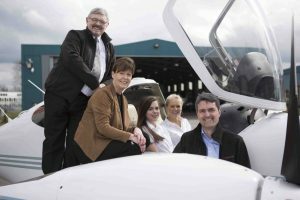 Hanna would like to thank the Air League, former BWPA Chairwoman Pauline Vahey for highlighting the scholarship opportunity and Airways Aviation for helping realise her dream. Her long-term ambition is to fly long-haul aircraft. 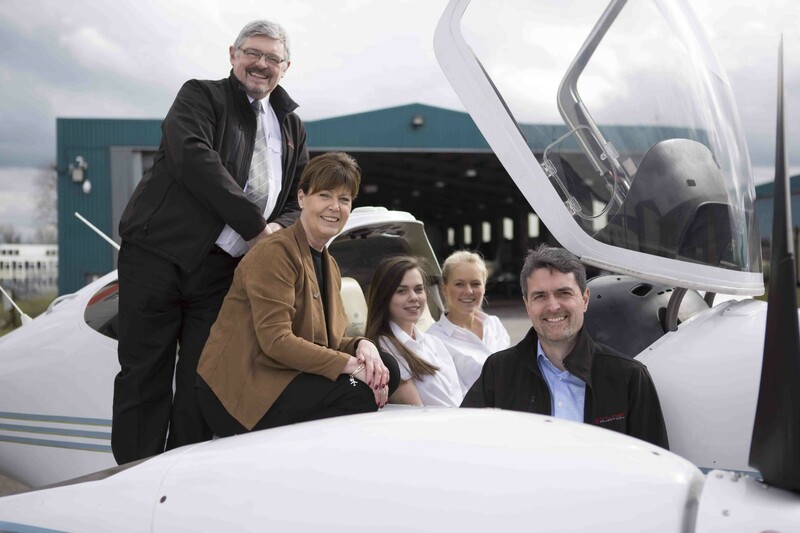 Airways Aviation brings more than 30 years’ aviation experience to offer world-class pilot training for aspiring pilots from a number of global locations. From entry-level theory to the Airline Transport Pilot Licence (ATPL), Airways Aviation prepares students for a life-long career in aviation. It offers EASA accredited pilot training at its purpose-built academies at London Oxford Airport, UK and Huesca–Pirineos Airport, Spain, complemented by pilot training in Australia, which is Civil Aviation Safety Authority (CASA) accredited. Its Elite Pathways Programme is its full-time EASA Integrated pilot training course. It takes an ab initio to qualified commercial pilot with a ‘frozen’ Airline Transport Pilot Licence (ATPL). On graduation, students will be ready to begin an airline career.